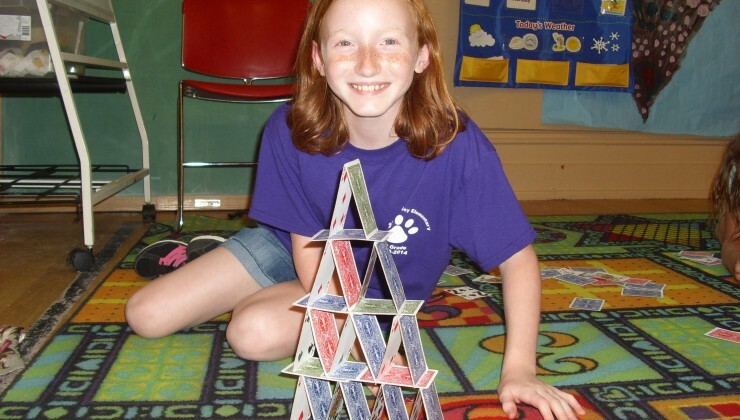 For more than 40 years, the childcare programs of the Saucon Valley Community Center have provided children with a safe, stimulating and creative learning environment. Whether they’re participating in our full or part-time childcare program or before and after school care, children take part in a variety of fun, educational and imaginative activities-including art, music, indoor and outdoor play as well as activities that cultivate early math, reading and language skills. We encourage understanding diversity in culture, family structure, abilities and language. Also, we recognize the importance of good nutrition and provide a well balanced lunch for children by participating in the U.S Department of Agriculture’s (USDA) Child and Adult Care Food Program (CACFP). Our professional staff is dedicated to making your child’s first experience away from home positive and enriching. We have small class sizes and low teacher to student ratios to ensure that your child receives a warm and nurturing environment. Following the Pennsylvania Early Learning Standards, our teachers use developmentally appropriate and best practice to facilitate a “hands on” approach to learning through play. We are licensed by the state and our childcare programs participate in the Keystone STARS Child Care Quality Initiative, which recognizes quality early learning facilities for their efforts toward continuous quality improvement. As a STARS facility, we are pleased to announce that we hold a STAR FOUR rating. Come grow with us!…We invite you to schedule a personal tour or for more information on our childcare programs call 610-838-0722. Toddlers are encouraged to build cognitive, language, motor and social skills through daily play and activities. In small groups, our teachers help toddlers explore the sights and sounds around them. Children are encouraged to learn at their own pace. Our teachers help toddlers feel secure in their new environment by utilizing a predictable schedule which helps the children develop trust in our teachers. In an environment encouraging positive self-esteem, preschoolers build social and emotional skills, cognitive development, language skills and physical development. The most important goals of our preschool program are for children to get along with others and become enthusiastic learners. Our teachers help children become more independent and secure while they learn to work well with others. Through stimulating and process orientated activities, these learners are prepared for a more structured school environment that awaits in kindergarten. The creative learning process emphasizes kindergarten readiness. Children become more independent in the classroom, really honing in on social problem solving as well as the important skills of language and listening. Our kindergarten program provides before and after school care for kindergarten students in the Saucon Valley School District. While in our care, students continue the important lessons they’re learning in kindergarten. Our kindergarten curriculum has strong reading and math components while also emphasizing cultural learning, science and art. Transportation is provided to and from the Saucon Valley Elementary School for all students. Full and part time care is also available during the summer months, during school holidays, early dismissals and school closings. Through an exclusive contract with the Saucon Valley School District, we provide before and after school care at the Saucon Valley Elementary School for children grades 1 through 5. Whether it’s before or after school, children are in a comfortable yet stimulating environment. Our program utilizes enriching and creative activities that extend on students’ learning at school as well as focus on tolerance and diversity. In addition, all children receive homework assistance as part of our daily routine. Children are also given daily opportunities to constructively channel their energy in appropriate physical activities. The school age program allows for curiosity and the love of learning to continue…Come grow with us!